Recruiters and Interviewers hear a lot of different things when meeting with candidates for interviews, some good things and some bad! If you are a job seeker or plan to start the process soon, here are a few things Recruiters/Interviewers love to hear to help land your next position! I interview dozens of job hopefuls each month in Lincoln. I take my role as a candidate advocate and candidate coach very seriously because I love watching people unlock their potential. I often tell my candidates that each interview may be different, and each interviewer themselves has a different style, but these three things are universally loved things that can come up in interviews. We love to hear real life and specific situations where skills and abilities were demonstrated. Saying “ I helped the sales team” sounds so much different than “ I invented a process that streamlined a time intensive process, and it gave the sales team back an average of three hours a week on paperwork that they applied to their sales role”. One is a one dimensional, passive statement and the other demonstrates a lot about what you achieved and your working style. Hearing these types of stories helps us visualize or better understand experience each candidate possesses. The more we understand about candidate’s work history and abilities, the more likely we are able to place candidates at jobs that are a good fit for them. This could be used in conjunction with specific examples, but using descriptive characteristics can help Recruiters and Interviewers learn more about you! If you tell me you are continuing your education while working a full-time position, I can gather you are a motivated individual. But, by verbalizing this, it can help the Recruiter or Interviewer remember key points about you. This will help you stand out among the other candidates if you are able to showcase your personality attributes. There are plenty of times where we tell your potential employers that you are a self proclaimed go-getter, and if you gave us a specific example of HOW you personify that it helps us gain a very clear picture of what you are bringing to the table. We know that not every employment story always ends with a happy story. If a candidate had a negative experience with a past employer, Recruiters and Interviewers are especially sensitive to how you choose to frame that experience. We want to hear how candidates were able to rise above a negative situation, or how you utilized an organizational protocol, or how you handled it professionally before deciding to part ways with the company. We want to know how you handle the stressful, uncomfortable, and downright unfair situations that can happen in the office. If you show that you are able to come out on the other side, appreciating the opportunities that you did have, and ready to bring a positive attitude into your next role, THAT is what we love hearing. This will help demonstrate your perseverance and desire to succeed in any situation! As Interviewers, we WANT to hear about your skills, experience, and personality. All of it helps us help you achieve your goal of taking that next step in your career. I hope these tips help YOU in the job search process. 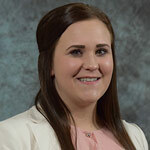 Laura Bjerrum graduated from University of Nebraska-Omaha in December 2016 with a degree in Communication Studies. She joined Celebrity Staff’s Lincoln team as a Staffing Assistant in January 2017. She enjoys this position because it allows her to help people and keep growing in her communication skills. In her free time, Laura enjoys making DIY projects, using her creativity through her work as a nail technician, and spending time with her husband and her family. I agree with you. Nice Post. Hey Laura, thanks for this genuinely helpful write-up. I second you regarding the positivity about past employers. Don’t know why many candidates tend to blame the previous employers due to some reasons. However, it doesn’t help them in any way. I believe consulting firms should be more responsible in sharing this message.